AFC Cable Systems MC Lite® 10/2 Copper high voltage traditional MC armored cable features THHN/THWN insulation that offers protection against electrical threats. Cable has voltage rating of 600-Volts and outside diameter of 0.56-Inch. It is suitable for commercial, industrial, multi-residential branch circuits and feeder wiring. This 250-ft cable comes in coil. 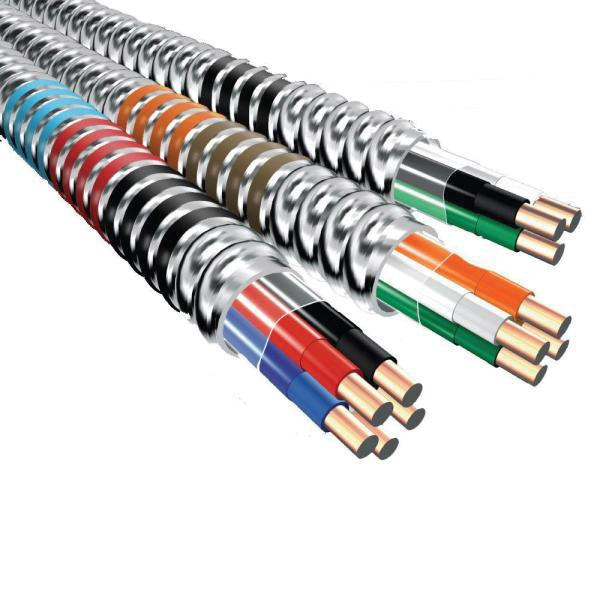 Cable is UL listed, RoHS compliant and meets Federal specification/OSHA/HUD/NEC standards.